I had to go and add GNOCCHI! Wait, what? Yes!! Gnocchi! And you guys, it’s just about as amazing as it sounds. For real, I have been dreaming about this soup… along with Friday’s recipe, which has nothing to do with this soup, except that I thought them up on the same day… for at least a month now. To say that I am excited to be sharing this soup would be an understatement. I do wish I had prettier photos, but in all honesty, it’s french onion gnocchi soup, it’s just never going to be that pretty. The beauty of this soup comes from within, it’s all about its exquisite flavor! 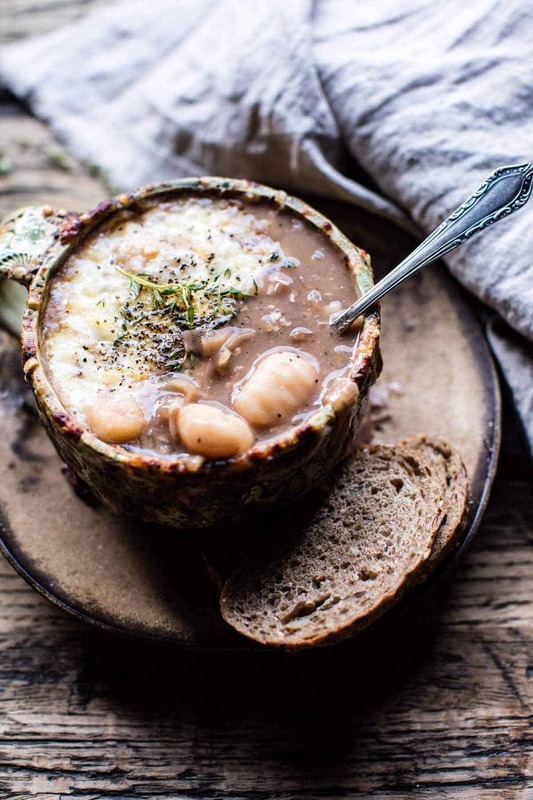 French Onion Gnocchi Soup from Half Baked Harvest on Vimeo. Before I dive head first into this bowl of soup, let’s chat weekend things! As you guys know if you read Friday’s post, I spent my weekend glued to my desk, passionately working on the cookbook manuscript. People have been emailing me asking where I have been on Instagram stories…ugh, so sorry, I will be back soon guys! I did do a little cooking on Sunday, but my morning and night were spent typing away, and I’ll continue to do so today, as I work through the end of the dessert chapter (and sporadically jump up and down with excitement that I am so close to being done!). Then just a handful of recipes that need re-testing and it’s on to photographing the book!! Real talk for a second though? In going through the manuscript and realizing that everything will be FINAL, I am semi-freaking out. Thoughts of recipes not working right, or everyone thinking the recipes are boring, or that the photos are ugly, are literally haunting my brain. Basically, I am torturing myself! I guess self doubt is part of the process, but ahh, man it’s a tricky thing to live with! Okok, but now let’s talk soup! 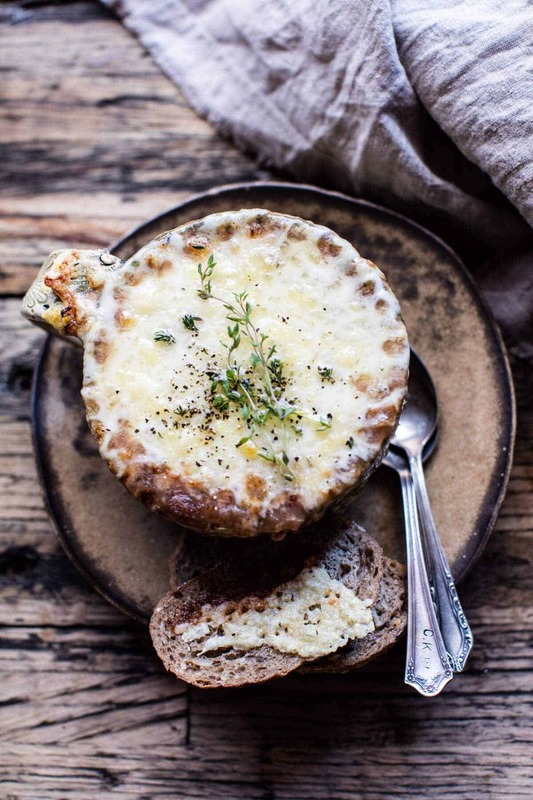 Cozy, cheesy, soup perfection…aka exactly what I need at this point. Ok and probably the perfect meal for a lot Mondays from now until spring. 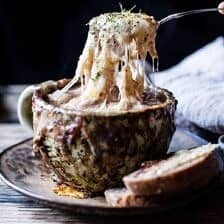 I think most of us will agree that really not much beats a bowl of french onion soup topped with a cheesy layer of bread. BUT guys, I dunno, adding gnocchi might just do it. 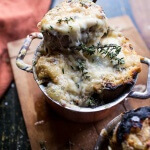 Think about it – pillow soft gnocchi, floating about in your onion soup, topped off with gruyere cheese?? Yes, it’s basically heaven in a bowl. Either way though, you simply cannot skip the cheese. Let’s be real, the cheese is why people make french onion soup, or at least that’s my feelings. Also, the starch from the gnocchi turns this typically brothy soup just a little creamy, and you know, it’s pretty much the bestest thing ever. Lastly, this soup is easy. The hardest part is the time it takes to caramelize the onions. 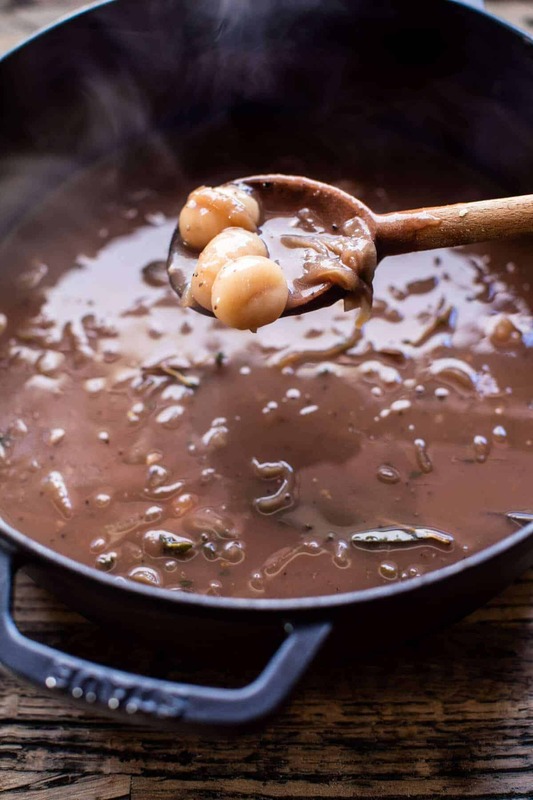 Once the onions have reached that deep golden color, just add everything else to the pot, simmer the gnocchi, add the cheese, and it’s time to eat! Question: who’s with me on this whole Monday night soup thing? Are you down with french onion and gnocchi or what? Yes, yes, yes! Cool, then let’s get to caramelizing those onions! 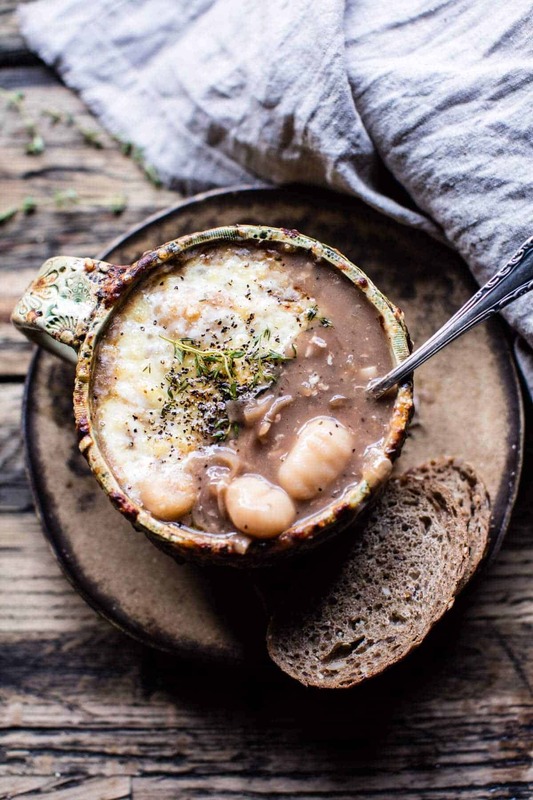 French Onion and Gnocchi Soup. Melt the butter in a large soup pot over medium-high heat. Add the onions, garlic and brown sugar and cook about 10 minutes, stirring frequently, until softened. Continue cooking, stirring often, until the onions are deep golden in color and caramelized, 15 minutes. Reduce the heat to low and sprinkle the flour over the onions, stirring the flour into the onions. Cook for 5 minutes, until the raw flour taste is eliminated. Add the wine, beef broth, Worcestershire sauce, bay leaves, and thyme. Increase the heat to medium-high and return the soup to a simmer. Stir in the gnocchi and cook until the gnocchi floats, 5 minutes. Remove the thyme sprigs and bay leaves from the soup. Season, to taste with salt and pepper. Ladle the soup into oven safe bowls and top evenly with cheese. Place each soup bowl on a baking sheet and transfer to the oven, broil until bubbly and golden brown, 3 to 5 minutes. Eat! Late Summer Corn and Lobster French Onion Chowder with Gruyère Toasties. Cheesy Chicken Tortilla Tortellini Soup. 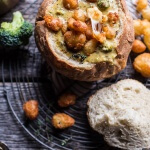 Broccoli Cheddar Soup with Fried Cheese Curds. that first pic with the meltiest cheese stringing everywhere is perfect! if that doesn’t scream french onion soup, idk what does. Haha so happy you are loving that photo Heather! Thank you! Try it and see! Haha thanks Ruth! So excited for your cookbook! I’m sure I’m not the only one! Oh well perfect timing then for this recipe! Haha! I hope you both love this one! And wow sounds so amazing, I will have to give them a try! And YES! I am super pumped for the book haha thank you Sheila! Oh my! Tieghan, this sounds epically delicious! 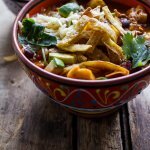 I love gnocchi so the thought of it in this soup is just too tempting not to try! Well perfect! I hope you love it Tori! This sounds wonderful, but the last sentence , is it out of place? Is the last part out of order? This sounds delicious. I can’t wait to make it. 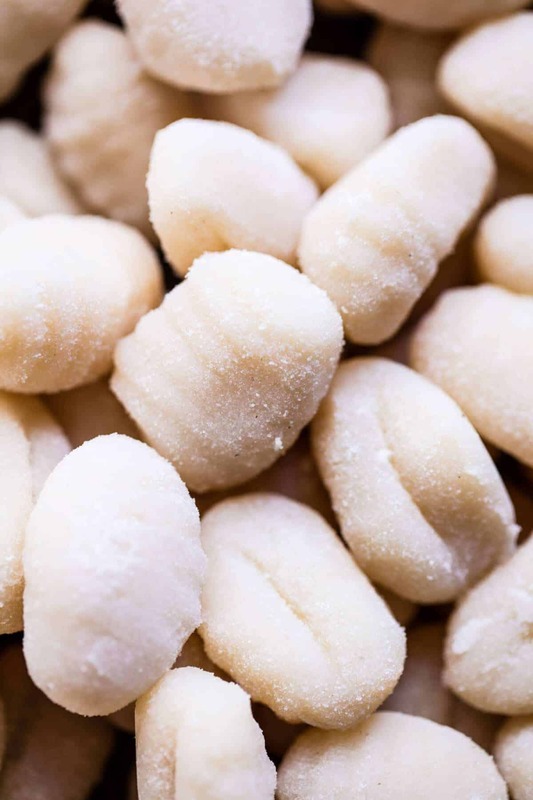 Do you make your gnocchi ? I’m beyond stoked for your cookbook! What a huge deal! This soup looks so incredible. I love me some gnocchi! Have you ever tried sweet potato gnocchi? It’s pretty amazing too! I can have this all winter! French onion and gnocchi sounds like a delicious combo. Yes! I hope you love it Layla! As always you nailed this one and just made my day! Thank you, thank you, thank you for posting such ridiculously delicious images and food recipes. So happy you love it! Thank you Raschell! Oh my god. This looks so incredible. Especially all that cheese. I’m definitely down for Monday soup day. Yes! Thank you Andrea! Hope you love this one! Omg. I have no words. SO cheesy. GENIUS! Woo!! I hope you love it, thank you!! Wow Tieghan! I think I may be speechless too!! Crazy good! I wish I had this for supper. But I’m headed for a drive through. Awh try it sometime soon! Thanks Nancy! Part of my weekend was spent on a 7 hour exam but the other part was spent catching up with old and new friends and lots of good food! Ah thank you for the kind words! They’re helping tons right now! Made this tonight. It was delicious and very easy to make. Thank you Tieghan. The gnocchi was a good variation to try but next time I’ll use the same recipe but have the bread on top. So happy you liked it and it was easy!! A cozy bowl of this soup sounds so good! All my favorite things in one meal! Oh my Noms! This looks deliciously wonderful! Thank you!! So happy you like it!! Hi, I was wondering if there might be a way to make this dish vegetarian? If I use vegetable broth, would to adjust anything else? Thanks for the delicious cozy dinner ideas! Hey Jordan! Yes, I think that using veggie broth with be just fine. No need to adjust anything else! Let me know if you have questions. Hope you love this, thanks! Perfect! I am so happy you love this soup Carolina! I totally agree it could go for part of dinner or the main dish! Is it possible to make the broth a day or two in advance? If so, should I freeze it or just leave it covered in the fridge. I can’t wait to try the recipe!! I am so glad you enjoyed this Autumn! Thank you so much! So did you buy the gnocchi or make? If so how or favorite brand to buy please. This sounds amazing!!! I can’t wait to make this! Everything you make is pure perfection! Your recipes are so consistently good that I’m sure your cookbook will turn out amazing! I can’t wait for it! 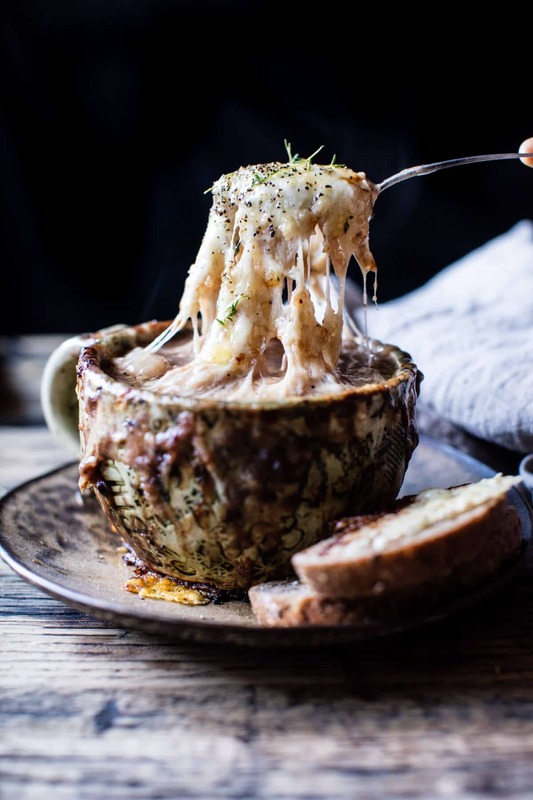 Quick question, I love your French onion soup bowls, where are they from? 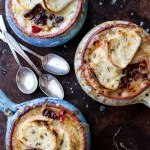 Just when I thought French Onion Soup couldn’t get any better! I can’t get to the grocery store fast enough! I hope you love this soup, Lori! Thank you! Made this for dinner tonight and it was AMAZING!! !